Section 38 of Grenada 1974 Independence Constitution states that subject to its provisions, “Parliament may make laws for the peace, order and good government of Grenada”; and Section 23 defines Parliament as consisting of Her Majesty, a Senate and a House of Representatives. The process for the making of laws is set out under section 45 of the Constitution, which instructs that the power of Parliament to make laws shall be exercised by Bills passed by the Senate and the House of Representatives, and assented to by the Governor-General on behalf of Her Majesty. A Bill is basically policy proposals, which are to be debated in the Parliament for becoming a law, but only when the Governor-General assents to a Bill, it shall become law and he shall thereupon cause it to be published in the Gazette as a law before it coming into operation; laws are referred to as statutes and as Acts of Parliament. Generally, laws are influenced by external dictates or forces, and although they are often politically correct, laws are not necessarily morally correct. Significantly, section 106 of the Constitution authorizes that the Constitution “is the supreme law of Grenada” and subject to its provisions, “if any other law is inconsistent with this Constitution, this Constitution shall prevail and the other law shall, to the extent of the inconsistency, be void.” The interpretation of the ‘substance, validity and application’ of the law resides in the Judiciary which basically is the court system, and sections 16 and 101 guarantee that any person who alleges that any provision of the Constitution has been or is being contravened may, if he has a relevant interest, apply for a declaration in the court and for relief accordingly. It is worth raising that there is on-going ‘genuine and reasonable’ argument that the Constitution has not had officialdom in the Parliament of Grenada, and this being the most compelling factor for Constitution Reform with emphasis on rectifying the abnormality. Grenada is unique in that respect and demands different treatment, far from common with at least the other Commonwealth Caribbean countries. Many laws of Grenada have been declared unconstitutional, but most regrettably, this acknowledgement comes after unwarranted ‘time loss, cost expenditure and anxiety stress’ from the applications of persons, even taking the cases up-to-the final appellate court of the Privy Council in London. Generally, the reckless, expedient and unconscionable passing of Bills and the ceremonial rubber-stamping by the Governor-General form the basis for making unconstitutional Acts. Bogus laws continue to be enacted and to remain on the Statutes-book, and enforced in charging and convicting persons, with tremendous damage to those who are ignorant and/or are not capable and not having the means to access justice. Even after laws are judged unconstitutional, the powers-that-be tend to be defiant to the judgements. Natural justice is denied and damage is faced, not only as a result of considerable delays in the Judiciary, but frustrations, sufferings and expenses mount when the judgements are not accepted and acted upon accordingly. Typical is the case whereby an application was made in the Supreme Court of Grenada for an Order of Mandamus against the Minister of Finance for prompt payment of compensation for the unconstitutional confiscation of the property of Sir Eric Matthew Gairy (Suit No. 377 of 1987), followed with an appeal to the Privy Council (No. 29 of 2000). Most ‘contemptuous and vile’ though, is for a State administration which claims to be pro-workers, pro the vulnerable and impoverished, and pro-people and the socio-economic development of the nation, to have the issue of pensions for public officers made a political football by its Prime Minister who has been a parliamentarian for as long as the time (over 32 years and counting) of the erroneous enactment and enforcement of the Pensions Disqualification Act. Worse yet is to have the spending of scarce State monies to prevent the public officers from enjoying their constitutional entitlements on different aspects. The case of Hermilyn Armstrong vs the Attorney-General and the Minister of Finance speaks volume on the ‘attitude and behaviour and conscience’ of the powers-that-be on pertinent issues; reference Claim No. GDAHCV 2010/0423 and also read “No Prime Minister Mitchell, Not Again!” Moreover, the truth of the statement by Dr Mitchell in his 2016 National Address on 19 January which is circulated on the Internet, that is, “recently Government faithfully paid up, in execution of the constitutional decision of the Court in respect of the pension issue brought before it by retired public officer, Ms Hermilyn Armstrong”, is far from what is literally and superficially conveyed. The reality and truth of the situation will be understood when considering that the Judgement of the Privy Council was delivered since on 15 October 2012, and the uphill and upset circumstance which Armstrong had to undergo to be paid, although it seems that the case may be also far from being over. The supremacy of the Constitution denotes that the Constitution reflects the highest ideals of the people for their governance and system of government, and for the exercise of fundamental rights and freedoms and that the provisions therein are enshrined, deserving respect and preservation. Arbitrarily and haphazardly changing the Constitution is not honourable and patriotic, but the thrust to do so is often attempted, especially in disguise, when there is an autocratic and self-serving tendency of the powers-that-be. Certain provisions of ‘extra importance’ are entrenched in the Constitution, with special protection from autocracy and abuses by the powers-that-be. Parliamentary approval by itself cannot change an entrenched provision, but required procedures involving the decision of the people in a referendum must be followed. Section 39 of the Constitution outlines the manner for the alteration of the Constitution and certain other laws, and this section must be held ‘preciously sacrosanct’ and ‘alertly attended to’ so as not to be ‘disturbed and distorted’ in the constitutional referendum being undertaken. 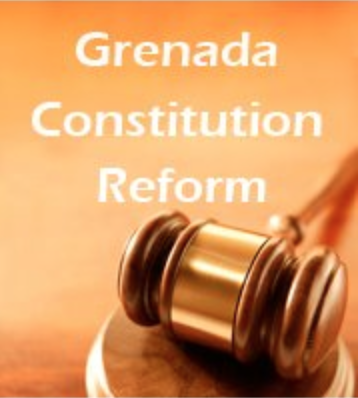 Concerns on the adherence by the powers-that-be to moral, ethical, legal and democratic principles for the constitutional referendum are raised in the Internet-circulated article “Grenada Constitution Reform: Referendum in Question” which also links to other articles on the significance of such a noble venture. Legal experts from the United Nations Development Programme (UNDP), as well as those from The Commonwealth and the Organisation of American States (OAS), must have advised the Government of Grenada, upon their assistance with the reviewing and making relevant the legal framework for the constitutional referendum. In this regard a new Constitutional Referendum Act is anticipated, along with pertinent regulations and questions. The new Act purports to make provisions prescribing procedures for regulating the holding of a referendum, to obtain the approval of votes required for the altering of relevant provisions of the Constitution of Grenada and certain other constitutional instruments. The package of draft legislations is still under consideration by the Attorney-General A K Cajeton Hood, submitted by Chairman Francis Alexis of the Constitution Reform Advisory Committee, for the referendum planned for 26 April 2016, from all official indications. The fact is that a Bill for such a critical Act will be debated in the Parliament without an Official Opposition and thereby increasing the risk of making and applying an unconstitutional law. Consider the unfortunate possibility; what if after the holding of the constitutional referendum on this new Act with the Yes-vote for the Amendment Bills winning, then it is proven that the said Act is unconstitutional, how would the situation be redressed? Grenada could be experiencing ‘double jeopardy’ and “further embarrassment’, with having the ‘legitimacy and sovereignty’ of both its Independence Constitution and Reformed Constitution in question. Again Grenadians, Be Better Safe Than Sorry. Vigilance is ever required now at this time, by every serious-minded person, in protesting NO to unconscionable and unconstitutional acts for biased reasons. Pursue the Truth, Expose the Truth and Defend the Truth. Track records and past experiences, specially in terms of ‘confidence and credibility’ is key in establishing the Truth. Only the Truth can set you free; Know the Truth to make ‘informed and wise’ decision at the upcoming constitutional referendum-poll.